Isa is a goofy child and likes to mess with her sister and her parents. Her latest thing is coming up really close like she’s going to be affectionate but then when I (mom) try to hug or kiss her she runs away. 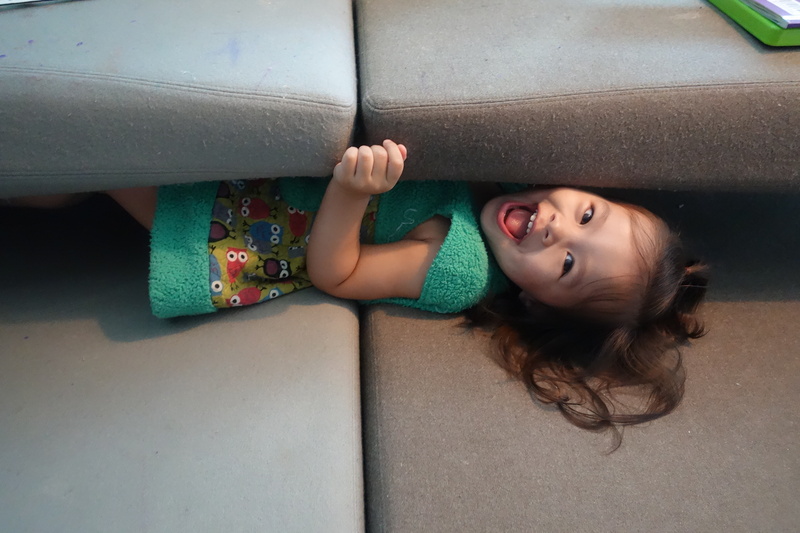 Today she squeezed herself under the upper part of the couch just to mess with me and this delighted her.